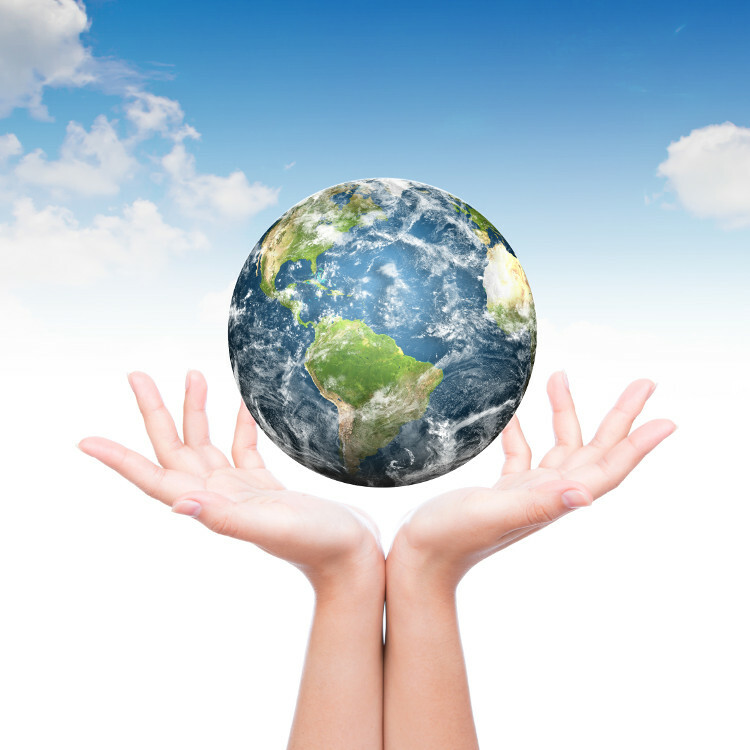 The Department of Geospatial Studies seeks to advance global mission by educating students to think spatially, training them in the use of geospatial technologies, customizing and serving data and conducting spatial analysis to drive missional operations, strategies and decision making. Graduates may serve in the mission of God in many different types of NGOs including faith-based organizations, denominational groups, mission agencies and evangelical environmental groups; as well as serving in community development organizations devoted to regional and community planning, economic development, cultural resource management, and heritage preservation. The department participates in the mission of God in the world through mapping the mission in various cultural settings across the globe. The international faculty in this department are driven by the use of geospatial analysis to see old problems in new ways making connections through thematic and geospatial analytic processes. Students gain skills that may be used to map a wide variety of issues that impact missional efforts in intercultural mission, missional practices, community ministries, environmental mission, global healthcare, communication and media, and theological studies. The Department of Geospatial Studies at Missional University equips students to think critically, understand complex issues, visualize and analyze geospatial data, and address questions related to place and spatial interactions. Students have opportunities to participate in the Evangelical GIS Society. Geospatial studies at Missional University are rooted in the intersection of a socio-theological understanding of place and ecotheological perspectives of creation and stewardship, land and environment, and hope and the new creation. 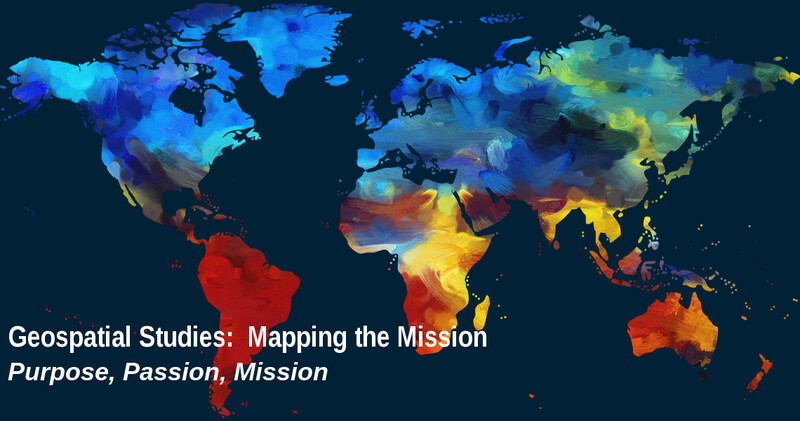 Insights from the intersection of these theological concepts form a biblical framework for understanding the geospatial dimensions of the mission of God. Students study these theological concepts as they gain skills in geospatial analysis in order to provide the conceptual framework for understanding biblical aspects of geomission. Geospatial studies provides data-driven research and analysis to support missional operations, strategies and decision making in a large range of missional endeavors across areas of intercultural mission, missional practices, community ministries, environmental mission, global healthcare, communication and media, and theological studies. Students combine data, geography and technology to uncover significant patterns, draw conclusions, and illustrate issues related to the intersection of place, population segments, and mission. Students are exposed to intercultural aspects of mission in the mapping of data related to various cultural groups and population segments. Through an understanding of geospatial technologies, students focus on understanding missional issues and pinpointing data to geographical locations. Through this department students are exposed to missional issues across the globe and the geospatial tools to study them. Courses offered by the department immerse the student in practical case studies and experiences that bridge the gap between theory and practice. Through study beyond experiences, students have opportunities in observerships, practicums, internships and mentorships to gain first-hand experience in geospatial analyasis as applied in their local communities or internationally. The study of geospatial technologies at Missional University enables students to combine research data and geospatial skills in world-class courses with the theological, missional, intercultural study necessary for a life long career serving in the mission of God in the world.